Dell recently announced its renewed focus to help customers in Asia Pacific and Japan (APJ) capture market opportunities from the growing Internet of Things (IoT) trend. As part of the company’s integrated technology strategy, Dell OEM Solutions Group offers a complete suite of products and services to help customers unlock innovation with new IoT solutions. “The Internet of Things is fast impacting the way people and businesses use technology today. Dell believes the Internet of Things is at a tipping point where innovation and falling costs are enabling organizations to begin preparing for the future. IoT is fundamentally a convergence between operating technology and information technology and require integrating domain expertise from both worlds. 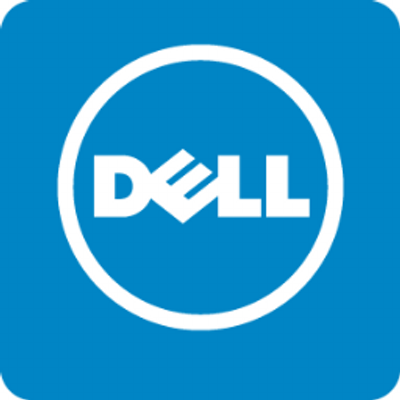 This is exactly what Dell OEM solutions has been doing for over 5 years in Asia, helping to embed and integrate Dell IT into the solutions that our customers bring to market,” said Glen Burrows, General Manager, OEM Solution, Dell Asia Pacific and Japan. To address these challenges, Dell OEM Solutions Group help customers architect their IoT plans, map out the ideal infrastructure that lets customers start small, build rapidly and design a standards-based IoT solution that maximizes profitable growth. For example, a leading air-conditioner manufacturer is piloting Dell Cloud Client Computing solutions to collect and analyze sensor data from smart air-conditioners and improve predictability and uptime for their customers cooling solutions. Customers across a wide range of industries have benefited from the adoption of Dell OEM Solutions that deliver IoT capability. Chitale Dairy, a popular dairy establishment in India, needed a high-speed, highly available network that could support a massive growth in operations and the automation of its milk production process. With the implementation of Dell virtualized platform and an upgrade of its infrastructure with Dell™ Networking switches, the company was able to achieve efficiency across various business functions. This includes gaining insights from data captured at every level of the supply chain process, which helps drive innovative research and development as well as more efficient milk production and animal management. “The scale at which Chitale Dairy adopts technology is a great example of how Dell solutions can help customers in any industry maximize the benefits from IoT. Dell’s open architecture solutions help customers meet their unique IoT solution needs. Our solutions’ robust analytics capabilities help customers execute insight-driven action, and allow customers to scale from pilot to production quickly and cost-effectively,” said Glen Burrows. As the Asia Pacific IoT market is set to grow, Dell remains committed to its customers and helping customers achieve success in the IoT era. Earlier in 2014, Dell announced efforts to collaborate with Intel on IoT solutions for customer projects such as building automation for smart buildings. In September last year, Dell launched its first Internet of Things (IoT) Lab in Santa Clara, California to partner with customers to help them explore, test and deploy IoT solutions that help drive business outcomes and accelerate time to market.